On an enterprise level, printing isn’t traditionally considered a value-adding business area for IT managers to deal with. But the proliferation of mobile printing is changing that. In fact, smart device and mobile phone printing solutions have been on a continual rise since IDC began predicting its growth in 2013. Two years later, research from the firm also found that 75% of users consider the business value of mobile printing to be similar to PC printing, with another 15% saying it’s even greater. Just as cloud computing helped businesses discover new ways to add value by unlocking previously untapped areas of efficiency; mobile printing technology too has enhanced the modern workplace and helped organisations be better at what they do. by sending data from a mobile device to a computer that’s connected to a printer. There are a few reasons why printing continues to thrive in enterprises. For one, although the Australian government generally accepts both paper and electronic records, hard copies may still be needed for legal and compliance requirements in some cases. Studies have also shown that reading printed information is better for understanding abstract concepts. You know that busy, multitasking professionals can save time by using a mobile device to view and respond to emails, business documents or images on-the-move. But that efficiency pauses if someone needs to send a document to a desktop to print from a networked printer. If your organisation is equipped for mobile printing, employees can print at a moment’s notice. So they don’t need to set aside precious time to print documents earlier, or printing anything at all “just in case”. Anyone travelling is also able to wait until a hard copy is definitely needed before printing it. Having that flexibility means lighter briefcases, more trees saved, not to mention more peace of mind for IT managers who tend to be called upon at the slightest sign of printer trouble. Some industries – like legal, real estate, insurance and healthcare – still rely heavily on paper. These industries also tend to have a high number of “mobile” employees – lawyers and realtors are constantly on the move to see their clients for instance. When it comes time to sign a contract, having the ability to print from a mobile device – say with a portable printer – is a good way of providing seamless customer service. Some mobile printing apps also allow scanning to popular cloud platforms like Google Drive, OneDrive, Dropbox or Evernote, so users can upload their documents to their preferred public cloud for access on-the-go. Customers who know they are able to sign on the dotted line immediately might also be more inclined to agree to a sale there and then, given the convenience. Adopting mobile technology has proved beneficial for many organisations. 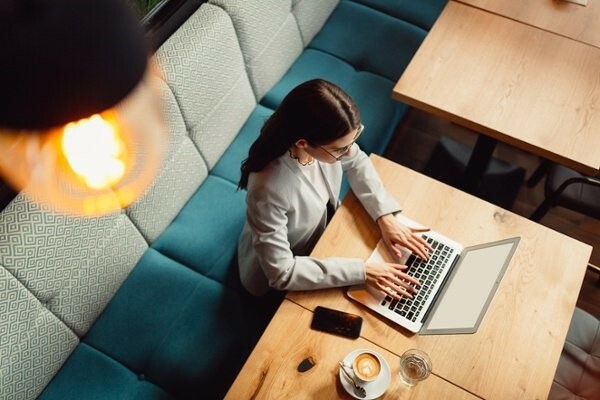 A report by IT service firm TD Logicalis found bring-your-own-device (BYOD) models helped reduce as much as 45% in HR-related costs in one business for example. But enabling mobility also comes with the need to enhance IT systems, and printers were discovered to be among the most overlooked devices when it comes to IT security. This has spurred a movement in businesses to re-examine IT policies, cybersecurity strategies and contingent plans to account for printers, mobile devices and other vulnerabilities. And that in turn, enhances organisational security across the board. If your organisation is already using managed print services, enabling smart device and mobile phone printing can only improves everyone’s access to real and measurable efficiency. Leading Teacher Tom Daniel attests to the change since implementing a document management solution at his school. “One major difference is being able to hold print jobs and having the ability to collect them when time permits. It has reduced wasteful printing and left over incorrect scraps and increased security so that only approved jobs actually print. “Overall, simplicity and efficiency have been the biggest outcomes from us reassessing our printing processes and workflows,” he said. Combining secure, measurable and on demand Mobile and PC printing in the single service environment is the requirement for large number of organisations today. To learn more about a mobile printing solution can be tailored to your specific business needs, download our Tailored MPS Implementation Fact Sheet.